Learn more about the human muscular system. The human muscular system plays a vital role in maintaining posture and is essential for movement of the body. This free online course enables the learner to explore the structure and functions of the human muscular system. It outlines the different types of muscles and the different makeup of these muscles. It explains the roles each muscle has in relation to movement of the body and explains how the nervous system controls muscular activity. 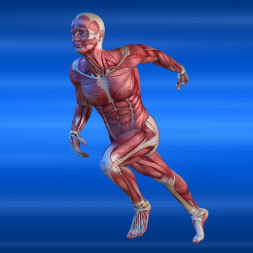 This free online course will be of great interest to students of biology, anatomy, physiology and medicine, as well as healthcare professionals, who would like to gain a basic knowledge and understanding of the human muscular system.